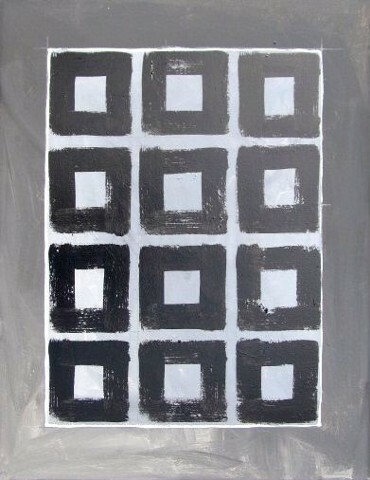 This original acrylic painting speaks directly to my fascination with the geometric, order, and repetition. The placement of objects in containers continues to intrigue me as an artist. This canvas has a raw, unfinished quality that I felt fitting to the apparent organization within. My work continues to explore the conflict between order and chaos, the planned and the improvisational.